This song comes from the province of Xinjiang. 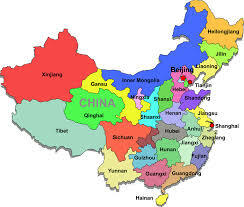 This is the largest province in the northwestern part of China. As this is such a vast province, the music varies from region to region. This is a common folk song of the Cossack people from Xinjiang. It can be sung by anyone but is highly suited for small groups or solos. The lyrical nature of the song makes learning the four verses very easy. dōu yào huí tóu liú liàn de zhāng wàng. hǎo xiàng wǎn shàng míng mèi de yuè liang. hé nà měi lì jīng biān de yī shāng. ​bú duàn qīng qīng dǎ zài wǒ shēn shang. In a far away place there is a good woman. When people walk by her tent they turn their heads to look at her. Her rosy cheeks are like the red sun. Her bright eyes are like the bright moon at night. I’m willing to give up all I have to go and raise sheep with her. Everyday I look at her rosy face and her beautiful clothes that are lined with gold. I wish to be like a little lamb following beside her. I wish she would use her tool to guide me just as she does the little lamb.